Since making the move from Germany, Jürgen Klopp has never understood why we insist on having lunchtime kick offs in England but he has now come to terms with it. Ahead of the Reds’ fixture this weekend against Burnley, the boss has asked fans to restrain themselves on Saturday and get an early night. 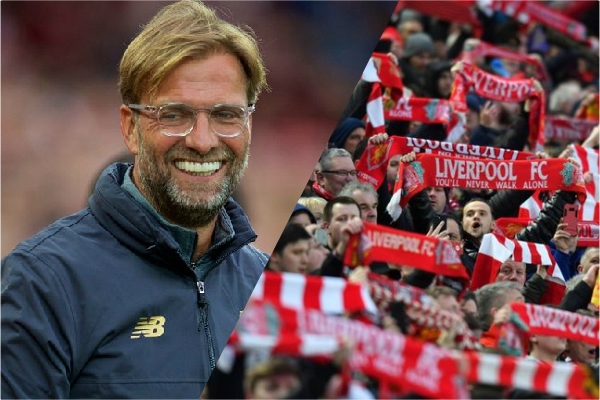 It’s a bit of a war cry from Klopp who wants Anfield rocking at high noon this Sunday. “We have spoken a lot about that, we need atmosphere at 12 o’clock,” said Klopp at his pre-match press conference. The first time Liverpool played at midday under Klopp resulted in a 3-1 loss to Swansea, which was just two days after a Europa League clash in Spain against Villarreal. Since then, though, the Reds have lost 5-0 to Manchester City last season and have beaten Everton 3-1. Fortunately, Liverpool haven’t played since our stalemate at Goodison Park on Monday night and will be well-rested for Burnley’s visit to Anfield this weekend. A win for the Reds is crucial this weekend with City facing off against Watford. Keep in mind, we did just trounce them 5-0 ourselves and we can all agree on the importance of three points on Sunday. So you’ve got your orders, match-going Reds. Make sure you get an early night on Saturday and rest those vocal cords!